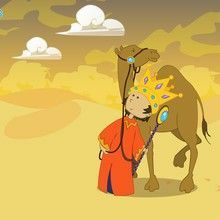 Melchior is the King of Arabia who brought baby Jesus the gift of gold. Brighten up your computer screen with this cute Christmas scene. Wallpaper for your computer is fun to display on your screen for Christmas, holidays and other exciting celebrations! 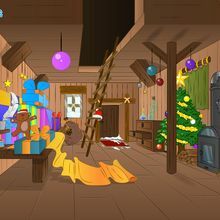 You will find a wonderful selection of wallpaper from Hellokids.com.